Dubbed the “black and white artist,” Franz Kline was so much more than some monochromatic snooze fest...jeez. People assumed he was just another action painter because he was buds with Jackson Pollock and Willem de Kooning, but he actually put a lot of thought into his creations. People also assumed that he didn’t actually paint the white parts of his paintings, but he stated that, “I paint the white as well as the black and the white is just as important.” In terms of being misunderstood, Franz Kline is the pitbull of the art world. Franz Kline grew up in a Podunk coal mining town in Eastern Pennsylvania where his father committed suicide when Franz was only seven years old. He was then shipped off to a school for fatherless children. He led a surprisingly normal life after this, attending Boston College and then a fine arts school in London where he found his leading lady, a ballerina named Elizabeth Parsons, who he brought back to New York with him. Their relationship wasn’t exactly perfect. She was in and out of mental hospitals for most of their marriage, but Kline thrived in NYC. He began making art and joined the Abstract Expressionist gang with Pollock, de Kooning, Robert Motherwell and Lee Krasner. Legend has it that Kline got his style when de Kooning told him to project a pic of his studio on the wall. Kline’s account of what he saw was this: "A four by five inch black drawing of a rocking chair...loomed in gigantic black strokes which eradicated any image, the strokes expanding as entities in themselves, unrelated to any entity but that of their own existence." This sounds like a lot of crazy until you look at his work and see what he’s talking about. Unfortunately Kline died just as he started adding color to his work, so he will be known as the “black and white artist” forever. Kline, Franz. “Franz Kline Quote.” Accessed January 31, 2017. http://www.azquotes.com/quote/732741. Accessed February 1, 2017. https://sussle.org/t/Franz_Kline. Keane, Tim. “Painting at the Speed of Sight: Franz Kline’s Rapid Transit.” March 16, 2013. Accessed February 1, 2017. 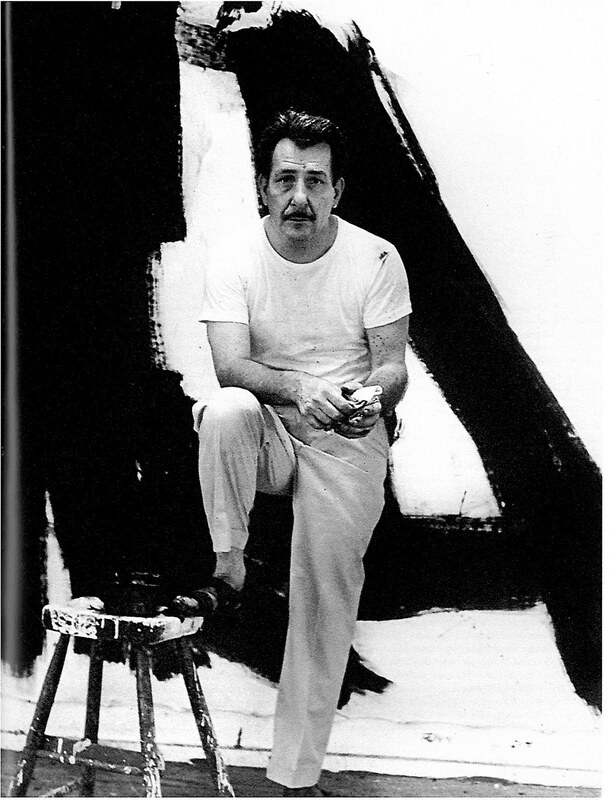 Check out the full Wikipedia article about Franz Kline.